If you're riding around in an OnStar equipped vehicle like the Chevy Malibu we checked out not too long ago, then you'll be happy to hear the latest news from OnStar. They've just announced some forthcoming enhancements to their RemoteLink application that will help you get to where you need to go more efficiently. (This is what we saw an early preview of way back at Google IO 2010.) On Aug. 30 -- when the application update goes live -- it will include the ability to search for destinations on your device and send them to your vehicle, providing audible turn-by-turn directions to your destination. Users can type in a destination, select an address from their contact list or speak the destination using voice search. Up to five destinations can be stored, and reused from your device so that you'll always have the most important ones available. 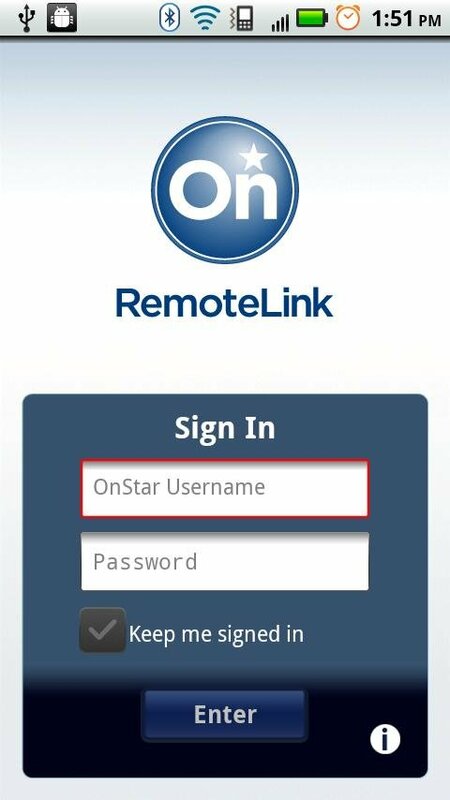 If you have an OnStar-equipped vehicle, and don't already have the RemoteLink app -- you'll find it past the break. DETROIT – OnStar is announcing a navigation enhancement to its RemoteLink mobile app that allows a subscriber the ability to search for a destination on his smartphone and send it directly to his vehicle where the route can be accessed audibly through OnStar Turn-by-Turn or via an in-dash navigation system. Available for all current OnStar RemoteLink-enabled vehicles, users can type in a destination, select an address from their contact list or speak the destination using a voice search feature. The enhancement will also allow users to store the last five destinations sent to their vehicle. Once a destination has been selected, the user can send the route directly to his or her vehicle. The route will be available and activated once the vehicle is started. The RemoteLink navigation enhancement will be available in the Android and iPhone marketplace on Aug. 30. Current users of the app will receive an update notification on their Smartphone. New users who download the application will receive the updated version. OnStar and Chevrolet announced the auto industry’s first mobile app for the Chevrolet Volt at the 2010 Consumer Electronics Show. Since then, Chevrolet, Buick, GMC and Cadillac have used OnStar technology to launch mobile apps for many 2010 and most 2011 vehicles with 2012 model year vehicles to follow. RemoteLink leverages OnStar’s unique connection to the vehicle, providing drivers with up-to-date vehicle information such as oil level, tire pressure, fuel level and lifetime miles per gallon. The app has been downloaded more than 450,000 times in North America and has accumulated more than 4.5 million service interactions. OnStar, a wholly owned subsidiary of General Motors, is the leading provider of connected safety and security solutions, value-added mobility services and advanced information technology. Available on more than 40 MY 2011 GM models. OnStar is now also available for installation on most other vehicles already on the road through a new retail product called OnStar FMV. OnStar FMV has been awarded the Good Housekeeping Seal of Approval. The OnStar Mobile App is a recipient of the 2011 Edison Award for Best New Product in the Remote Driving Aids segment. OnStar safely connects its more than six million customers, in the U.S., Canada and China, in ways never thought possible. More information about OnStar can be found at www.onstar.com.